Hello, He & I readers! I'm so excited to be guest posting for Alexa - isn't her blog the cutest?! My name is Marci - I'm a wife to a busy (and amazing & handsome!) accountant and mama to two boys. You can have a peek into our life (and request free printables!) over at my lifestyle blog If These Walls Could Speak. If you're anything like me you've pretty much been dreaming of Christmas for weeks (months?!) now! I have to admit I'm a little bit of a Halloween grinch and while we do the whole dressing up/halloween parties/trick-or-treating thing, I'm just so excited when it's November 1st and I feel like I can really start getting in the Christmas spirit! My Christmas playlist is on repeat, I've already watched about 15 cheesy holiday movies, read three Christmas books aaand my boys' Christmas shopping is pretty much done ha! 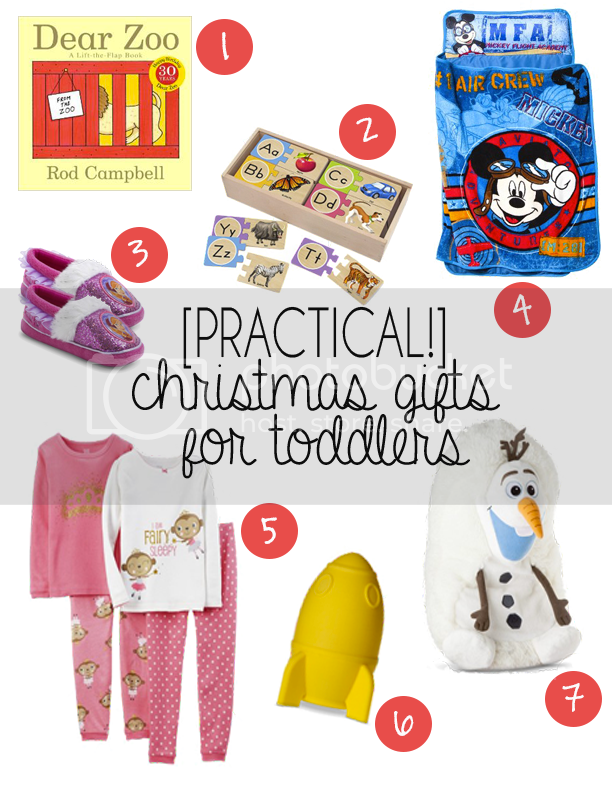 Today I'm so excited to share with you a few ideas for practical & fun Christmas gifts for your toddlers! Before we get started, here are my top tips! Keep a list all year long - I do this in my phone's notepad. Whenever I see or think of something I think one of my boys would like, I jot it down. 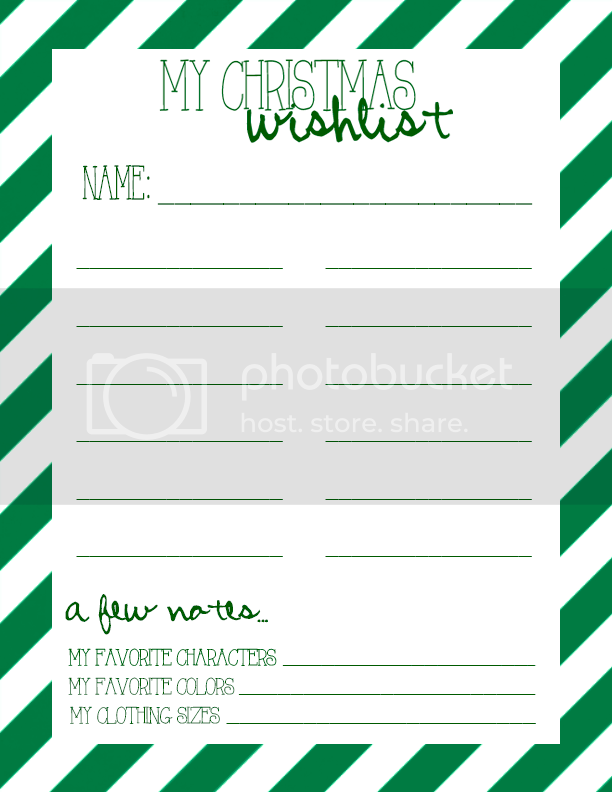 This has worked so well for me because I have a few weeks/months to think about the things on the list and decide how much they will really get used or if we really need them and also by the time Christmas comes around I have a list all set to give to family! No more having to come up with last-minute ideas! Don't be afraid to start shopping early - while you sometimes get the very best deals on Black Friday or during other holiday sales, some things you can find on sale or clearance at random times of the year. This year my 2-year-old, Jack, is getting a lot of coloring supplies and I found markers, crayons & paint half off at Target right after school started! Set a budget and keep track - it's really easy to over-buy (especially if you start shopping early!) if you don't keep track of what you've already bought. I keep an updated list of what we've bought for each boy in my phone (along with the price written next to it!) This also saves me when Christmas comes around and I don't remember exactly everything I've bought and need to wrap...I'd like to think I'm not the only one who has found a stray present in January (or June!) that was pushed to the back of my closet and I forgot about! And lastly ... when you are shopping for practical gifts just think characters! or favorite colors! or favorite animals! Anything practical turns into something extraordinarily exciting to a toddler when it has their favorite something on it. 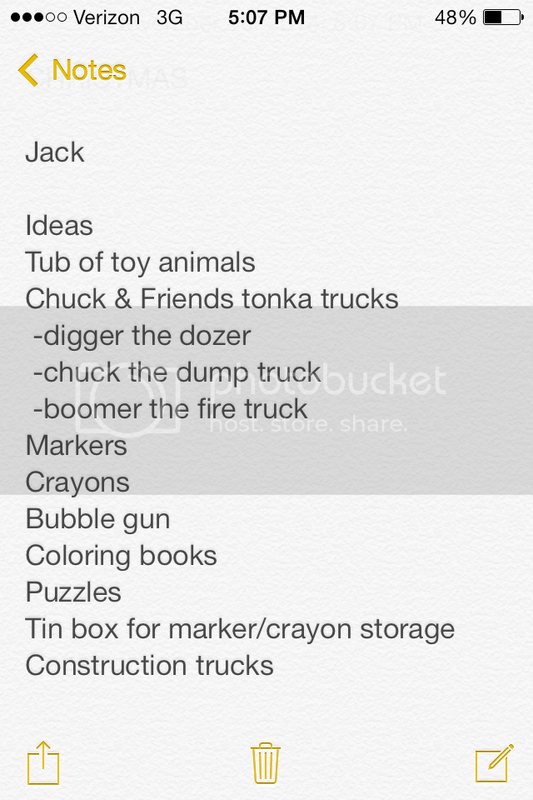 I know Jack flips if anything has Lightning McQueen or Mickey Mouse or Olaf! On to the idea boards! 1 // Books! Check out our list of our top ten favorite toddler books. 2 // Puzzles! Remember to buy ones that might even be a little too hard so you don't have to buy new puzzles before their next birthday or Christmas! 3 // Slippers - remember, think characters! 5 // Pajamas - I have to mention that for day clothes I tend to keep it more classic with solids or stripes but for jammies, I don't care what they wear! This is where I let them have their favorite characters or animals or trucks, monsters, etc! 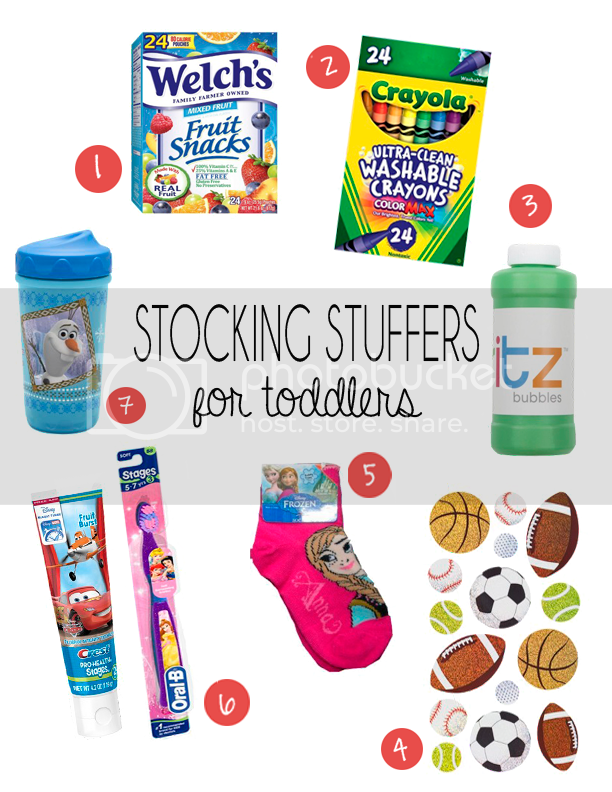 And we can't forget the stocking stuffers! 1// Snacks. Jack gets equally excited about fruit snacks (or any other snack we don't generally keep in the house) as he does about candy! 2 // Crayons - get the ultra clean washable! 3 // Bubbles. Never can have too many bubbles, right?! 5 // Socks - check the Target dollar spot on a regular basis! They often carry character socks for $1 and if you use Cartwheel or find them on clearance you can get them for 40-70 cents! 6 // Toothbrush/Toothpaste - toddlers don't even care how practical this is if it has their favorite character on it! Plus then maybe they are less likely to fight you on brushing their teeth?! 7 // Sippy cups. We lose these left & right! It's a great thing to gift that I know we'll be buying anyway! 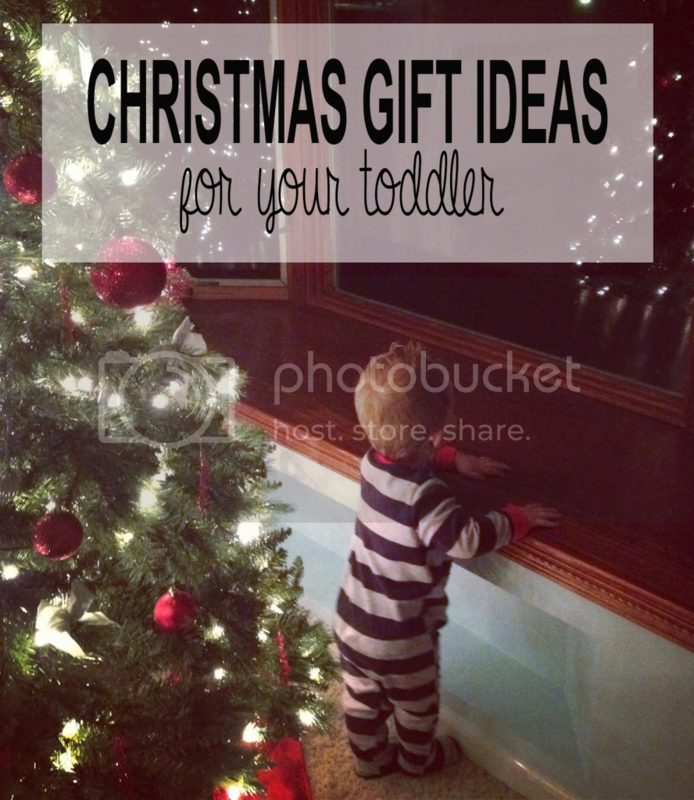 Now it's time to go get started on your Christmas wish lists for your littlest ones! Use these free printable lists to fill out and give to friends & family! You can also find these printables over on my shared dropbox folder. Credit for the cute striped borders on these printables goes to MelStampz. Thanks for letting me stop by, Lex! You can find me over on my blog, facebook, insta, or twitter (I'm new there!). Great ideas!! I am a preschool teacher and something ALL of our kids like (we have 3 year old and 4 year old classes) is playdough. Fill an old ice cream bucket or rubbermaid box with playdough and add in cookie cutters, plastic knives and forks, a rolling pin, plastic plates, etc. They love being creative and playing with playdough is very therapeutic!